2018 Oregon Graphic Memoir Award Winner Nicole Georges reads. 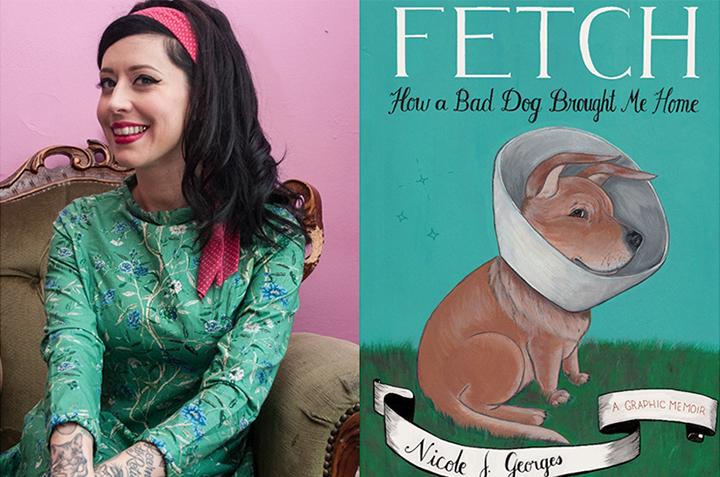 2018 Oregon Graphic Memoir Award Winner Nicole Georges reads from her latest award-winning book, "Fetch." Nicole J. Georges is a writer, illustrator, podcaster & professor. Her Lambda Award-winning graphic memoir, "Calling Dr. Laura," was called “engrossing, lovable, smart and ultimately poignant” by Rachel Maddow, and was an Official Selection at the Angoulême International Comics Festival. Her latest graphic memoir, “Fetch: How a Bad Dog Brought Me Home Again” won the 2018 Oregon Book Award for Graphic Memoir. Nicole does a weekly queer feminist art podcast called Sagittarian Matters, and she is very active on Instagram with her dog Ponyo. Nicole's workshop and subsequent reading are part of the reading and workshop are part of the Oregon Book Awards Author Tour, a program of Literary Arts.